The Twins may lead the league in candidates for Comeback Player of the Year. Up and down the roster and all over the diamond you can find guys coming off disappointing seasons who you can pin high hopes on for 2019. That being the case, Trevor Hildenberger has gone somewhat overlooked. It’s easy to forget just how good he was for the Twins prior to his second-half struggles last year. Hildenberger pitched to a 2.66 ERA, 0.98 WHIP and 19.4 K-BB% in the first 81 1/3 innings of his big league career. He gave up multiple runs in just five of his 73 appearances over that stretch. Unfortunately, the memory of Hildy that lingers on through this offseason is his final 33 2/3 innings of last year. Trevor had a 9.36 ERA, 1.93 WHIP and 11.6 K-BB% and gave up multiple runs in 10 of his 37 games of that stretch. It was an unbelievable downswing. On the surface, it may not seem like Hildenberger’s workload went up all that much from 2017 to ‘18. He pitched nearly the same number of innings, but went from appearing in 58 games between the majors and minors two seasons ago to 73 in 2018. That may not seem like a big difference when stretched across a full season, but fewer off days means less rest, which means less recovery. That applies to both the physical and mental side of the game. There were only 10 pitchers who appeared in more games than Hildenberger in 2018. You have to go back to 2010 to find the last Twins pitcher who appeared in more than 73 games (Matt Guerrier, 74). Joe Nathan only appeared in 73 games once as a Twin, his first season with the club. Glen Perkins never reached that mark, topping out at 70. Even “Everyday” Eddie Guardado only topped 73 outings twice in his 17-year career. Hildenberger joined Kris Atteberry on this week’s edition of the Twins Hot Stove show, which you can find on the podcast page at the team’s official site. One of the topics they discussed was that heavier workload. In addition to getting prepared for the long slog of the regular season, Hildy is also tinkering with the idea of giving hitters even more different looks. Hildenberger threw from that over the top arm slot 6.1 percent of the time in 2018, a grand total of 71 pitches. Among those, 66 were four-seam fastballs and five were changeups, per the data available on Baseball Savant. The other guest on this week’s Twins Hot Stove Show was Jeremy Hefner, who is transitioning from advance scout to taking over for Eddie Guardado as the bullpen coach. Well, sort of. The Twins are updating things, and Hefner’s official title is actually assistant pitching coach. Hefner had high praise for his new coaching collaborator. “Wes is great. His knowledge base on bio-mechanics, on pitch usage, on TrackMan stuff, on relations with a pitcher — he’s had a long track record of being able to execute on all of those things," Hefner said. I hope they don't give him too big of a workload because I'm concerned for him. He wasn't an MLB-caliber reliever for most of 2018 and I'm not sure if counting on him to be part of your 2019 rotation for the full season is a good idea. I thought he might start 2019 in AAA, but that seems far from the case... hopefully he'll rebound. This. I hope Baldelli does a better job at workload management. Biggest complaint about the 74 appearances is that he was being brought in during garbage time on short rest when he was pitching well. There was no reason to do that. I'd also hope that Rocco gets away from bringing in guys to face 1 batter. I really think RPs should be expected to go 1 inning more often than not. I believe HIldenberger will have a long career as a reliever. I am convinced he was misused by the Manager and the former manager's downfall was related to mismanagement of young players and the relievers. I hope that Baldelli and Johnson have a much better game plan on handling the pitchers this year then we've seen the past few. Hildi proved capable of handling key spots when he wasn't worn out. It might help to let a few more starters work their way out of problems insteadof going to the bullpen automatically in the 3rd inning. For a 22nd round draft pick, his 2018 is probably closer to reality than his 2017. It's also true that he was not playing well at all in the second half. Whether he was over-used or whether he was unhappy about the trade deadline moves is impossible to know. I suspect he was over-used. Hildy's sample size is so small it's just really hard to know what we will get in 2019, but he certainly has earned a fair chance. Let's hope the Twins are patient and let him play should he have a slow start. It took him a couple of weeks to get going in 2018. It seems like HIldenberger has had enough success that he should get a chance to come north with the team unless he has a horrific spring training. That's particularly true when you factor in the quality of the other options (relatively low) and the possibility that his poor second half was the result of overuse by Molitor in the previous 1.5 seasons (relatively high). Having said that, he's another guy that has to prove himself a quality MLB player and do it early in the season or he should be sent down for the next guy in line. He is not an established MLB player who gets even half a season to "figure it out". He's just like Kepler, Cave, Cron, Austin, etc. - they either perform or the go to AAA (or waivers if they don't have options)and figure it out there, or not. No scholarship players. The good news from this article is it sounds like Hlldenberger knows that his MLB career is in flux and is really working hard to give himself the best chance to succeed. That's great to hear.I'm rooting for him. I don't see it . He was terrible in September. Once " cute relievers" are caught up with, they generally don't bounce back. Something tells me they'll take an intensely granular look at his arsenal this spring. They'll make a call based on whether they think he has a variety of pitches that he can execute consistently and that are good enough to produce outs in MLB. He's got lots of competition for a spot so he's going to have to be effective during spring training. This article is a monument to why we still need more arms. The problem is not Hildenberg, it is the amazing demand that teams are putting on relievers - not the inning, the appearances.Every appearance demands many warm up pitches in the Bullpen and 8 on the mound even if they just throw one pitch to one batter.This is the new major leagues.Look at the Yankees who just signed Ottovino to go with Britton to go with Betances to go with Chapman and two other really good relievers.They are set so that they can rotate the appearances if they want.When teams average 3 - 4 relievers a game we are going to wear them out.It is not just team strategy, the entire league has not caught up with the demand. I would be mildly surprised if HIldenberger is on the short leash some are predicting. I think he gets the year to sort things out, barring a 9.00 ERA after a few months of course. Pat Neshek might disagree with you. Having said that, he's another guy that has to prove himself a quality MLB player and do it early in the season or he should be sent down for the next guy in line. He is not an established MLB player who gets even half a season to "figure it out". He's just like Kepler, Cave, Cron, Austin, etc. - they either perform or the go to AAA (or waivers if they don't have options) and figure it out there, or not. No scholarship players. The good news from this article is it sounds like Hlldenberger knows that his MLB career is in flux and is really working hard to give himself the best chance to succeed. That's great to hear. I'm rooting for him. Onboard with this. How about instead of riding a guy until he proves beyond any shadow of doubt that it's not working, let's have a short leash, react quickly like every game counts and ride the hot hands (bats)hard. This new Twins coaching staff is talking a lot about rethinking the way things have been. I'd love to see them try to give relievers longer appearances and see how it goes. You don't see many relievers averaging under an inning per appearance in the minor leagues. In fact, Hildy himself averaged four ours per game in the minors. They can do it. Cranking up the length of appearances/pitches per outing would obviously mean there will be more days where certain guys will be unavailable. That means you need a deeper pen of guys you can trust. You need multiple guys you can trust to protect a lead. I think that may be the biggest obstacle in the Twins implementing that strategy. I can see where signs point to workload but as well as Hildy did up until the wheels came off you have to admit he was moving from one team and one league to another. This means no one had time to figure him out. I would look at what pitch he threw the bulk of the time he got tee's off on. If it was the change up he's got big problems. That means they were sitting on his changeup and letting the fastball go by. That would suggest to me he needs to live more off of his fastball and throw the change up less to they don't sit on it but I'm not sure his fastball is good enough to live on it .. We shall see. It really disappoints me when we have players that kill it all the way through the minors and then can't hack it in the majors. I pray Gonsalves doesn't do the same, however I've noticed that every time they moved him up a level in the minors he initially got hit but figured it out after about five games and then was lights out. I could see a little of that with his major league debut last year. I'm betting he's going to have a great 2019 ..
Hildy's command degraded in the second half, plus guys figured out his overhand fastball. Accurate assessment that he needs another pitch. Also true that the Twins need more relief options, so they don't wear out guys like Hildy. To that topic, what the hell's been happening to all the relievers in the minors? Seems like only a couple have made it, the rest are washing out for one reason or another. 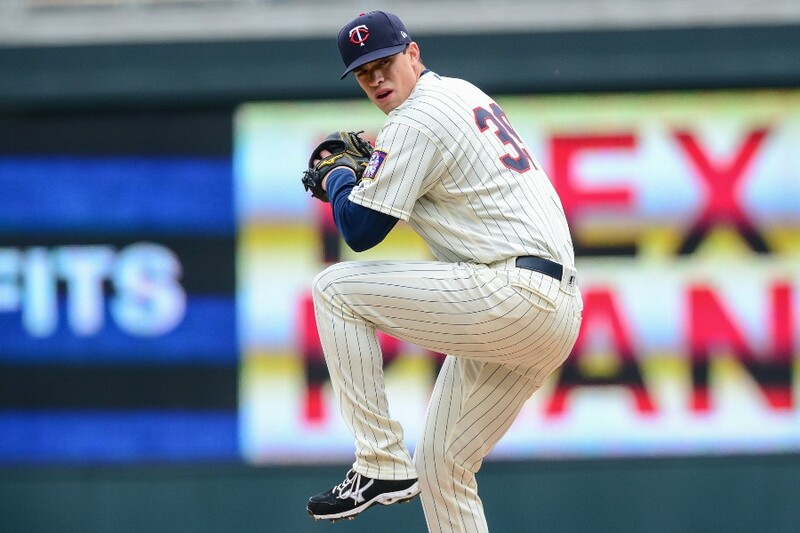 If winning is 60 percent pitching, the Twins are missing 50 percent of 60 percent. I feel that Hildenberger is just another example of a young dude with a live arm who would have benefitted from the experience of having someone like Rodney around. The feeling is that he has closer stuff. Having a veteran closer around him would be so clutch same as it would for Rodgers, Moya, Magill, and even Reed. Its too bad the genius Falvine's dropped the ball AGAIN. Rodney was around for most of the season. Trevor's ERA was 4.50 when Rodney got traded; he had had 3 consecutive bad games, so apparently Rodney wan't able to nip that in the bud while he was still there. Teams have coaches, for the purposes you described. Veteran leadership on the roster is useful but a bit overrated. I was happy for a new manager and I didn't like Molitor's bullpen usage, but I struggled to completely blame him since there never seemed to be more than two relievers at a time who showed any semblance of reliability. I'll be really interested to see what Baldelli does if say, only May and Rogers are pitching well. Will he resist what Molitor did and give the ball to guys who've been getting shelled to spread around the burden or still go back to the only two he can count on, until they wear down and can no longer be counted on? So far based on free agency, it doesn't look like the front office saw the actual bullpen pitchers as an issue last year. I think they're wrong, but maybe they thought something or someone else was at fault. Hope they're right, though I don't think so. I don’t think anyone thinks that Hildenberger is anything but a solid middle reliever. No one thinks he’s a closer or even an elite level set up man. Frankly, Hildenberger isn't yet even a solid middle reliever. He can get to that status with a good year this year, but the second half last year raises questions about whether he was overworked, hurt, or the league just figured him out. I'll think he'll be ok as a middle reliever/7th inning kind of guy. He is not a closer. yeah you're right. my bad. sorry.